How to get token listed on mobile app? 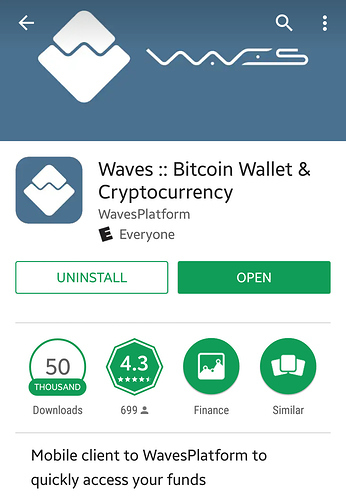 I have created two tokens on waves platform. I now have them paired with USD. They are listed and trading on the Dex online but do not show in the mobile Dex, even if I search. How do I get them listed in mobile? Thank you. And the follow up question is, how do I get my token verified? I have had a few people ask me recently. Verification process will go away and become blacklisting process. Mobile apps will be updated later this year to reach this. The standalone client already works like that. I selected the “unverified assets” in the mobile app, chose the search, used my asset name… “there is no data yet”. I chose “Add Market” but I am not sure what to put in Amount Asset and Price Asset. Are you using Android app? Yes. Screen shot not allowed or I would post it. I get “invalid asset pair”. What do you mean to delete one identifier in each field? When I look at my asset details, I have an issuer and an ID (as well as asset name and non-reissueable, etc…). “Amount asset” is found where? “Price asset” is found where? I found a nice tutorial and copy/paste the link in my previous reply. True. The issue I had was that the ID would delete itself when exiting the app to go copy the next one. My work around is for both to be copied at the same time.